[FONT=arial,helvetica,sans-serif]I am in the planning stages for Sept 2009, returning home to NM after two years in London. Looking at coop designs, breeds and lots of possibilities. Space is not an issue nor are materials. Built a large barn (36 x 54) last year and have enough left over to build several coops but one will be sufficient to start. 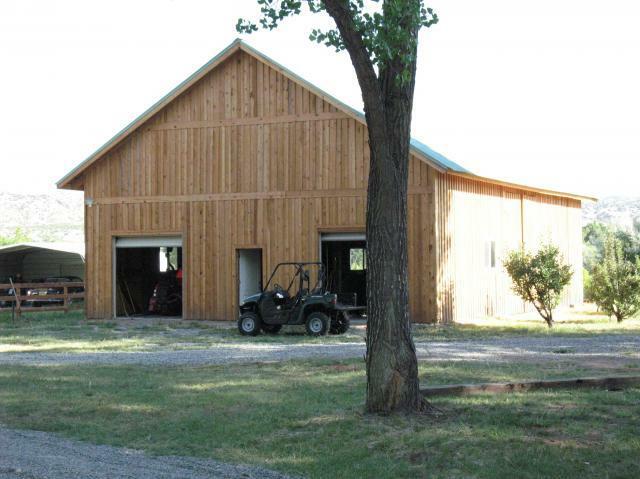 Here's a pic of the barn. Following videos are what inspired the quote: I dream of a better tomorrow when a chicken can cross the road and not have its motives questioned.